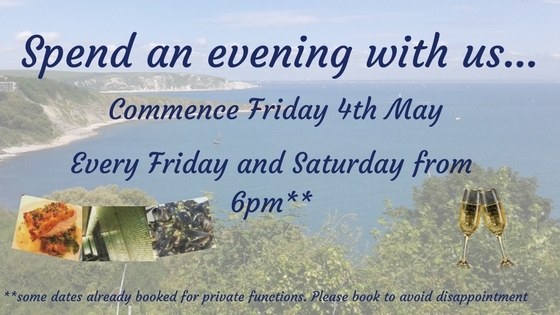 Spend an evening with us…. Please note dogs are only permitted on the terrace of an evening. Dates closed due to private hire…..